Yesterday I gave you a list of five things you might not know about me and I promised you the rest of the list today. If you've been holding your breath in anticipation, now is the time to breathe as we explore the boring trivia exciting details of my life. 6) My favorite Disney character is not Tinker Bell even though my car is called the Tink Terra and is plastered inside and out with Tinker Bell accessories. The Tinking of my car began when I found a Tinker Bell trailer hitch cover. It amused me so much that, when I bought an X-Terra with a trailer hitch, it was the first accessory I bought. The Tinker Bell seat covers, floor mats, steering wheel cover, bumper stickers, side sticker and personalized plate all came later. When I go for a joke, I go all out! My favorite Disney character has always been Winnie the Pooh, but for some reason they don't make many auto accessories with a Pooh theme. If I could do my car all over again and could find all of the accessories, it would have a Muppet theme, with the focus on Kermit. A MuppeTerra would be much better than a Tink Terra, don't you agree? 7) I love cold weather. I rarely wear a coat, until it gets well below 30 unless I have to be outside for a long time. I keep my house below 60 all winter and my bedroom window is almost never closed. I think I must have been a polar bear in another life. I love snow, especially if I'm able to go sledding. Living in Las Vegas for all of those years, I gathered a small snowman collection. I displayed it year-round to remind me that there was still snow and cold somewhere in the world even while I baked in the desert heat. 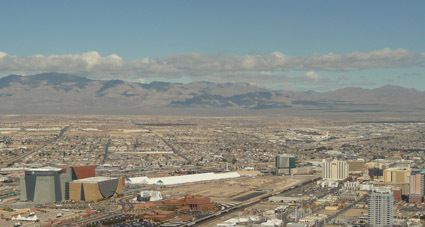 8) I was born in Las Vegas, but grew up military, so I've lived all over the US and in two places in Germany. My favorite place in the world is Munich, followed closely by Copenhagen. My bucket list consists of one thing... go back to Europe for at least a couple of weeks. When I was in my early 20s and my sister was in her teens we traveled around Europe by train with a Eurail pass. I would love to do that again. 9) I used to teach in daycare centers. I have changed more diapers than some moms and I know how to handle a roomful of 2-year-olds. 10) I know all of the words to most Alan Sherman and Smothers Brothers songs. So, there ya go. Fascinating, wasn't it? My favorite is Pooh too. I loved having the book read to me at night when I was little. 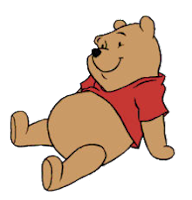 To this day Winnie is my fav. My daughter-in-law loves Pooh, too. She had a shower curtain with him all over it when they were first married. It did not thrill my son although he and my daughter had a Winnie-the-Pooh musical mobile over their crib back in the day!